Everybody remembers Brandon Boyd’s tattoo from the Incubus music video known as “Drive.” There is a common misconception that red ink causes allergic reactions and does not take well to the skin. 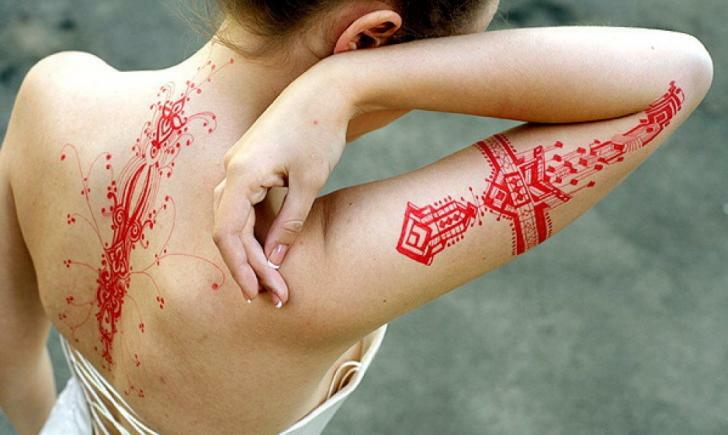 We think red ink is a cool idea. 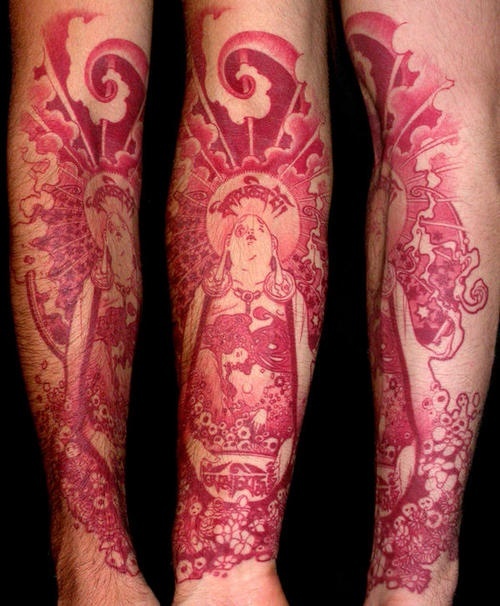 Here are some beautiful red ink tattoos that might change your mind and inspire your next piece. 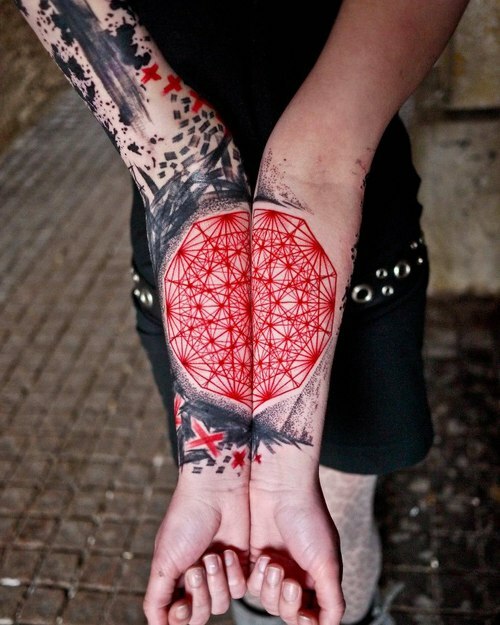 This bold geometric mandala style tattoo playfully combine multiple body parts to create one larger idea. 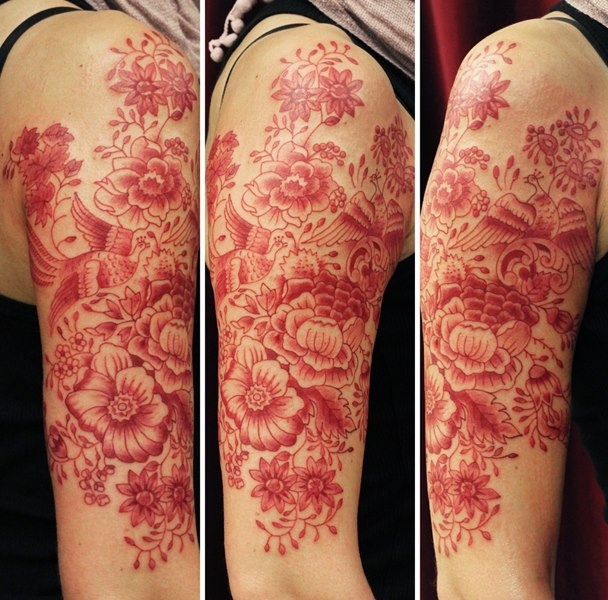 Here is an ornate floral sleeve that shows how eloquent red ink can be, especially when it comes to contrast and shading. This Buddha piece contains some fine detail, especially in the body and sky. It uses a slightly darker shade of red, which gives it a more delicate look. 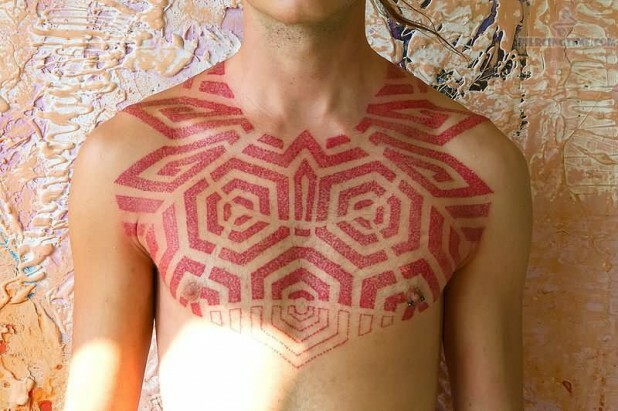 This large stipple chest piece shows off great intricacy and patience. 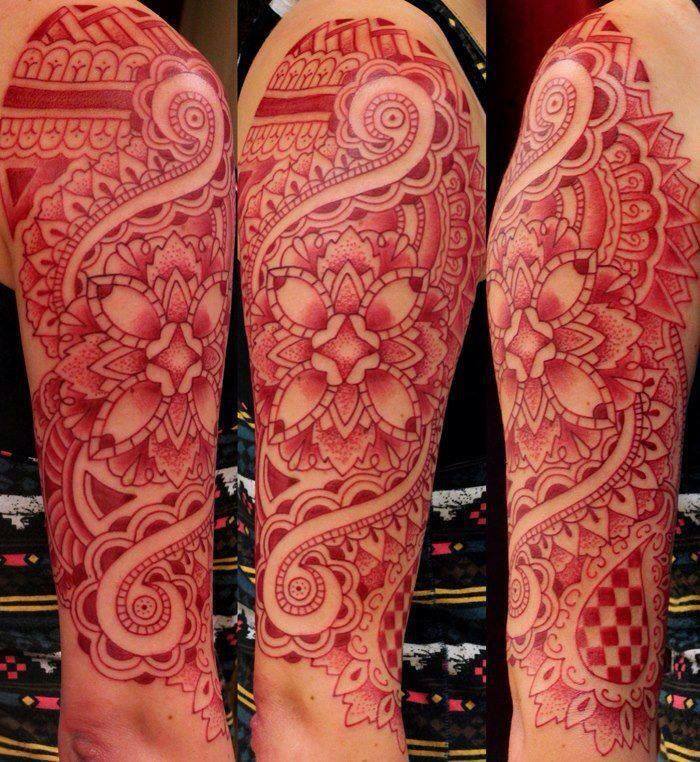 The tribal design is made up entirely of small dots. 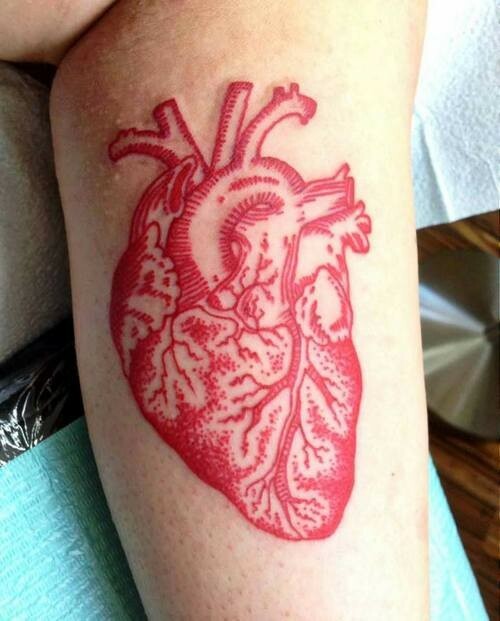 Here is an anatomical tattoo of a heart. There is a good balance of realism and illustration. 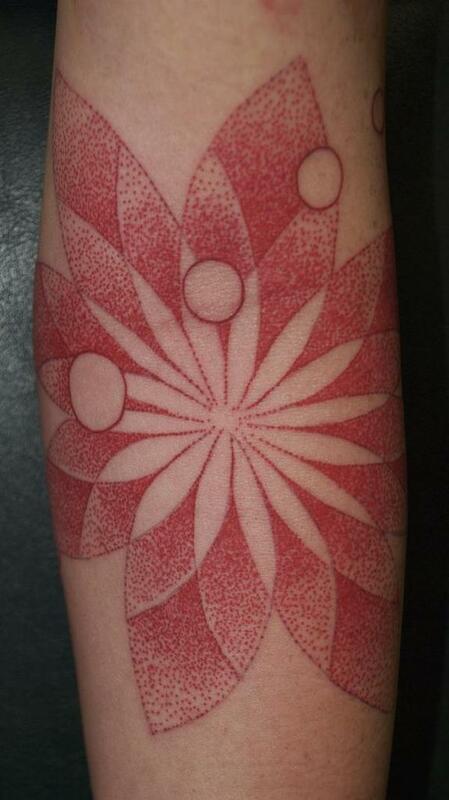 Here is another stipple piece, this time in a slightly geometric floral design. The concentration of dots creates deep shading. 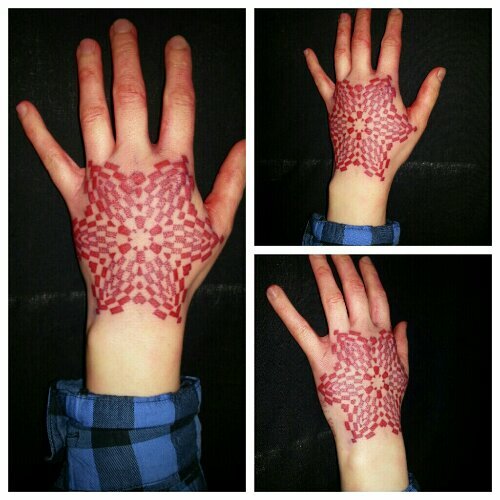 Here is a mandala style hand tattoo. It almost mimics a henna style with the red hues. This large piece is busy yet beautiful. There are a lot of different designs collaborating with each other to make it appealing to the eyes. It has a Baroque-like theme. 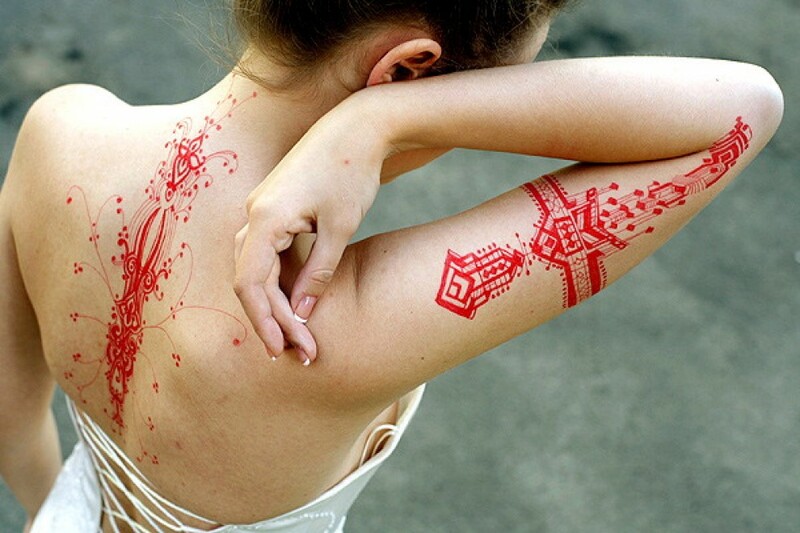 Lastly, here are some delicate red line tattoos that have a dancing fluidity to them. The thickness of the lines is deliberate and precise, which makes it look as though the ink is growing out of her body. Freshly Tattooed—Can you donate blood?